This year we were very excited to have some of our amazing participants & supporters join us in the celebrations,some fifty drivers,family members & TFAC supporters took part. Below is a write up from the CBCF. On Sunday April 19th the CBCF Ontario Region held their 8th annual Community Celebration Event at the historic Royal York hotel to close out National Volunteer Week and show gratitude to their exceptional volunteer community.The day began with a CBCF-funded Researcher Panel moderated by breast cancer survivor and Run Director Susan Enns. Dr. David Ma, Dr. Michael Reedijk, Dr. Jean Gariépy and Dr. Toni Zhong discussed their current research innovations that have been made possible by the CBCF community and engaged in an interactive dialogue with attendees. 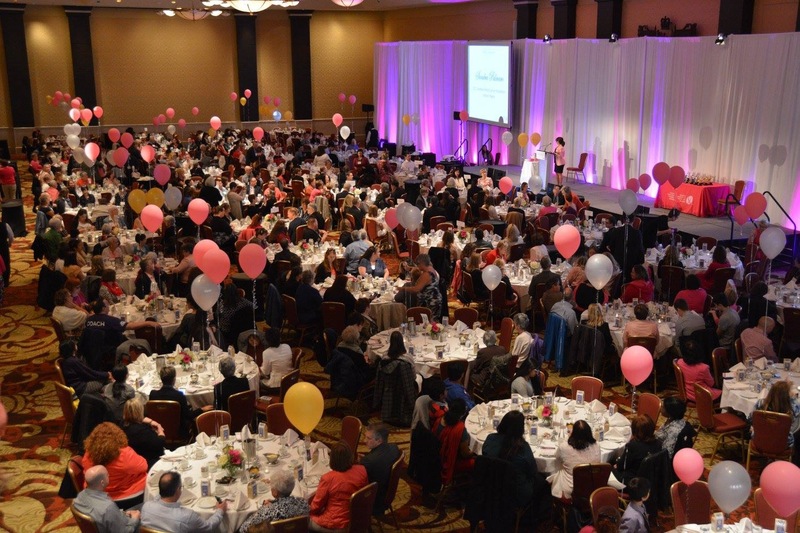 Following the panel, 500 guests enjoyed high tea service hosted in the Canadian room while celebrating CBCF’s volunteer community through an awards presentation. These awards recognized those who have volunteered their time by raising funds, organizing events, building awareness, lending their scientific and medical expertise, board and committee work, administrative work and much more. 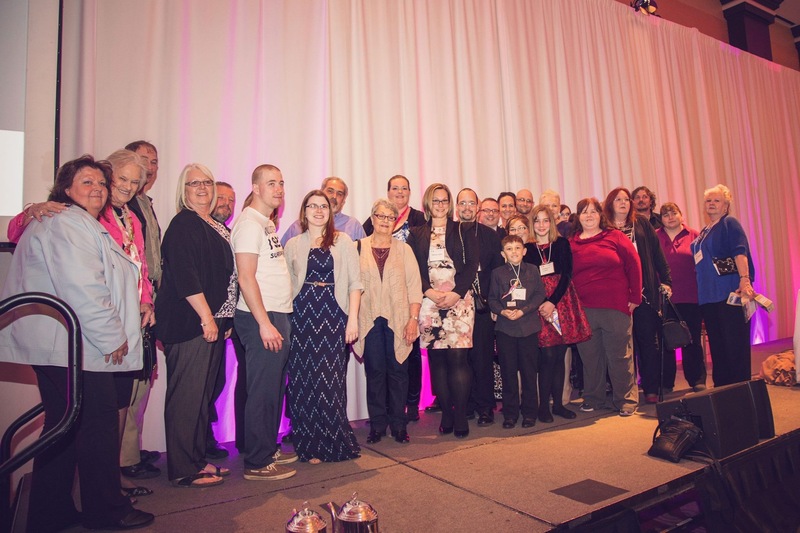 48 exceptional volunteers from across the province were nominated for various awards, and 23 winners accepted volunteer awards for their outstanding contribution. Sandra Palmaro, CEO of Canadian Breast Cancer Foundation – Ontario Region shared highlights from the previous year and thanked volunteers for their support. Libby Znaimer, host of the Zoomer Report, graciously dedicated her time as the master of ceremonies. Balloons of various colours filled the room, symbolizing the commitment and dedication of volunteers who have been volunteering with CBCF for over 5 years, 10 years, and 15 year milestones. which is presented to the organizer of an outstanding community event that has demonstrated excellence in fundraising, fostering a spirit of volunteerism and reaches a new audience to the Foundation or that fundraisers in a unique way.Back in 2013 TFAC was also nominated & won this same award at the 6th Annual Community Celebrations Event. 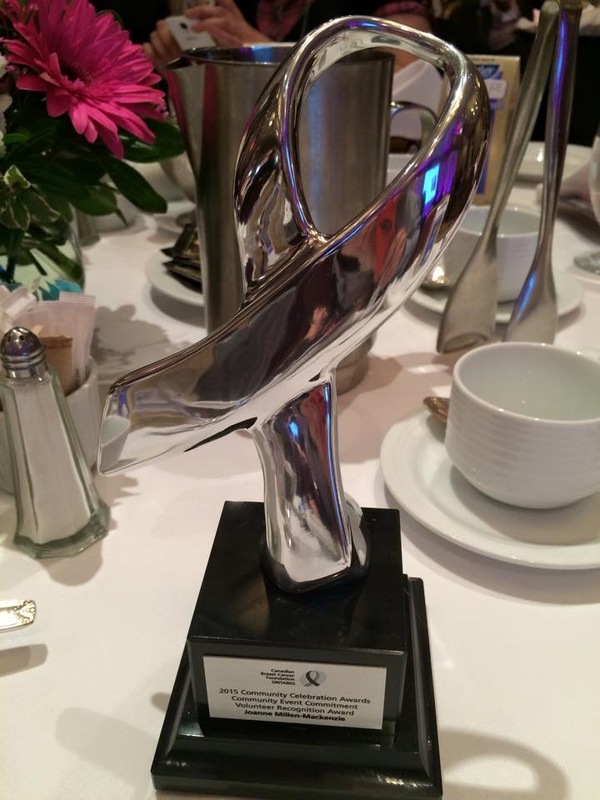 When we received news that we had been nominated for the 2nd time,we were very honored that our event was recognized once again for such an award.Being able to have so many of our supporters & drivers joining us in the celebrations that day was so wonderful, but to actually walk away winning again in 2015 just made this day so much more amazing for everyone! What an honor it was to except this award on behalf of all our drivers,sponsors & Team Cure Volunteers behind Trucking for a Cure each year.Our success is your success! Our next event for our Paint the Industry Pink Tour is the Road Today Truck Show we will be attending and a big shout to ExpoCam & Newcom for a great weekend, thank you for your support! Previous PostThe Photo Guys join TFACNext PostNew Links and Registration Pages Available on TFAC Website.